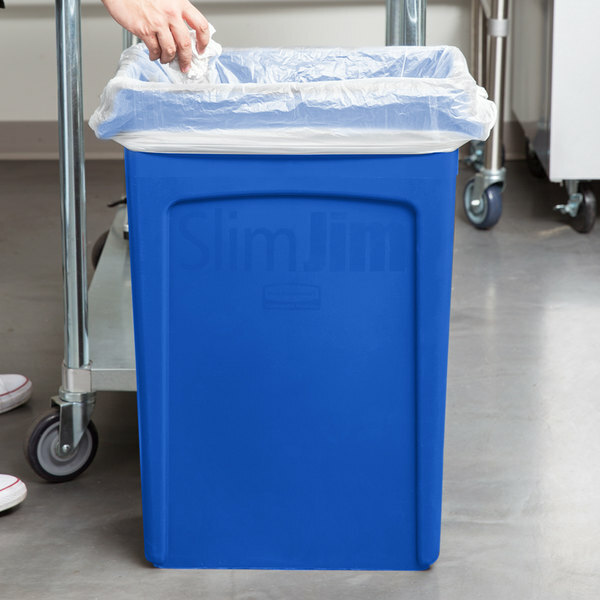 This blue Rubbermaid 1956185 23 gallon Slim Jim trash can features an efficient size and shape that is perfect for use behind bars, at desks, and in other places where space is at a premium! 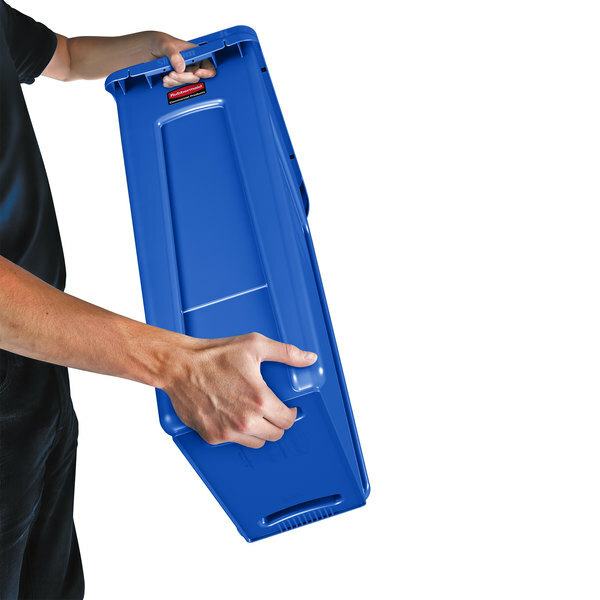 A convenient handle on each side allows easy lifting, and its durable all-plastic construction makes it easy to clean while providing long product life. 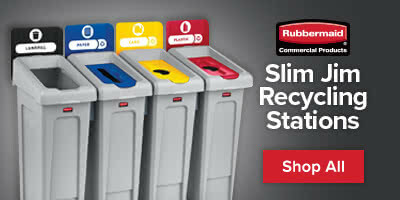 This Rubbermaid product offers hands-free use, reducing the risk of cross-contamination and germ spreading. 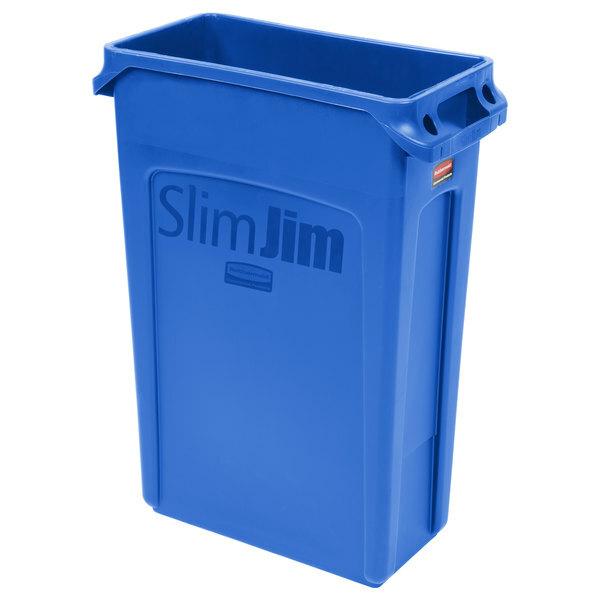 Very sturdy and well built trash bin. I have only positive things to say. 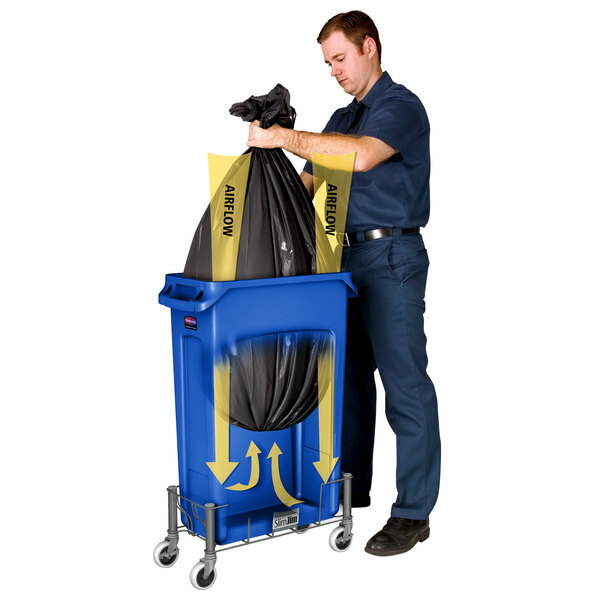 The vented channel makes removing a full bag easy. Being so narrow it doesn't get in the way a round trash can does. 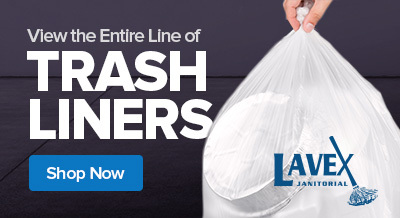 These trash cans are perfect for any bar or restaurant. They hug the wall nicely and don't take up much room. Convenient bag cinch on the side keeps bag from slipping inside when full. We have a very tight space, so slim jims are crucial. 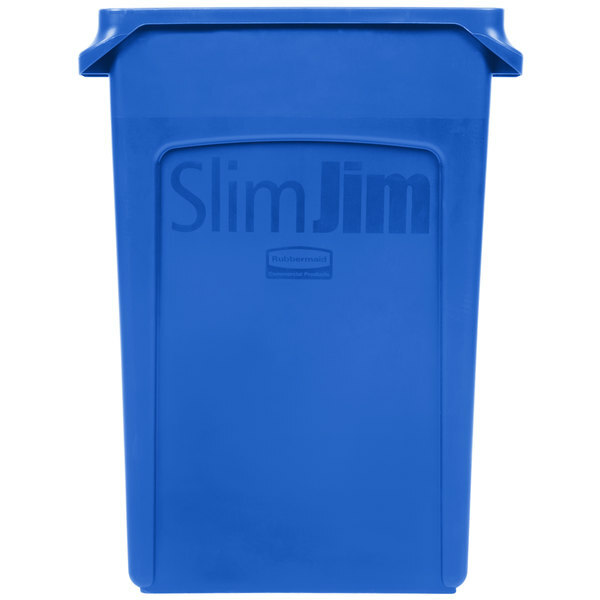 Given the rough and tumble of being dragged when they are full of heavy items, they are a disposable item and have a great webstaurant price makes replacing them less painful. Great item for heavy kitchen use. We run two high volume kitchens and have several of these used in various aspects. 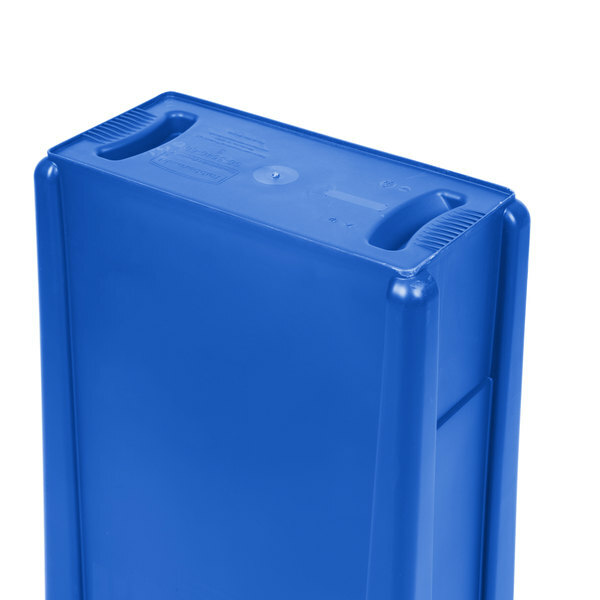 They stand up to normal wear and tear and can easily be cleaned.